Compatible with April 16, 2019 Freelancer careers patch. This mod changes the way townies are named if you have City Living. Before many townies would have very repetitive names such as "Datta", "Gupta" or "Izumi" - it's the same names everywhere. 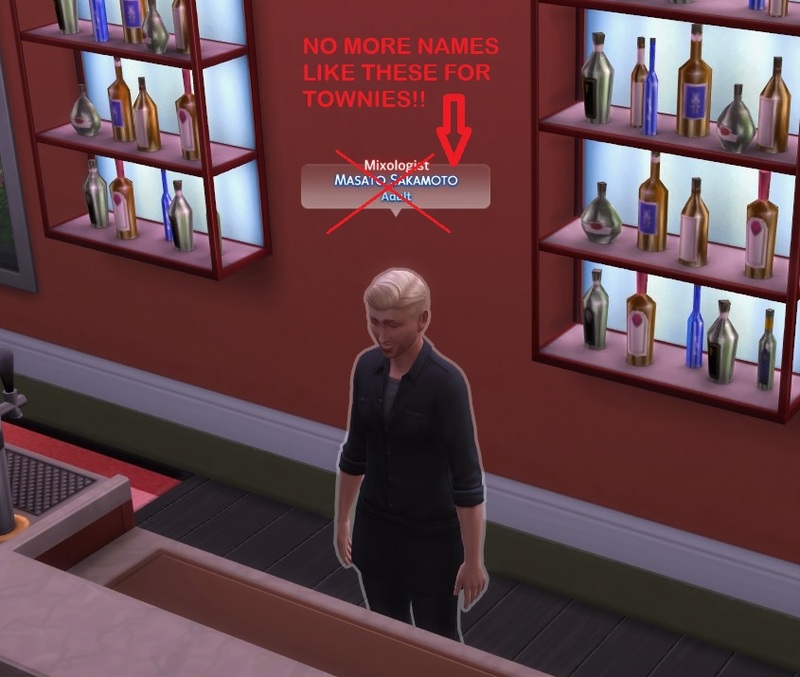 With this mod, the names for townies will now come from the pre-City Living list of townie names - a massive list. Requires City Living expansion pack to be used. Ever since City Living released I have been wanting a mod like this, but after 2 years of waiting I decided to make the mod myself. Supports all languages (see below). 1. "No City Living Names" - all City Living townie names have been deleted and replaced with the huge lists of townie names available from previously. All other townie names will generate in your game's language, including all the non-alphabetical languages (Chinese, Korean, Japanese and Russian). 2. "Less City Living Names" - all the City Living townie names remain, and are an addition to the lists of townie names from previously. This was requested by a few people, so here you are (ta da!). This means that you can still get sims with City Living names roaming around town, but much, much more rarely than before. 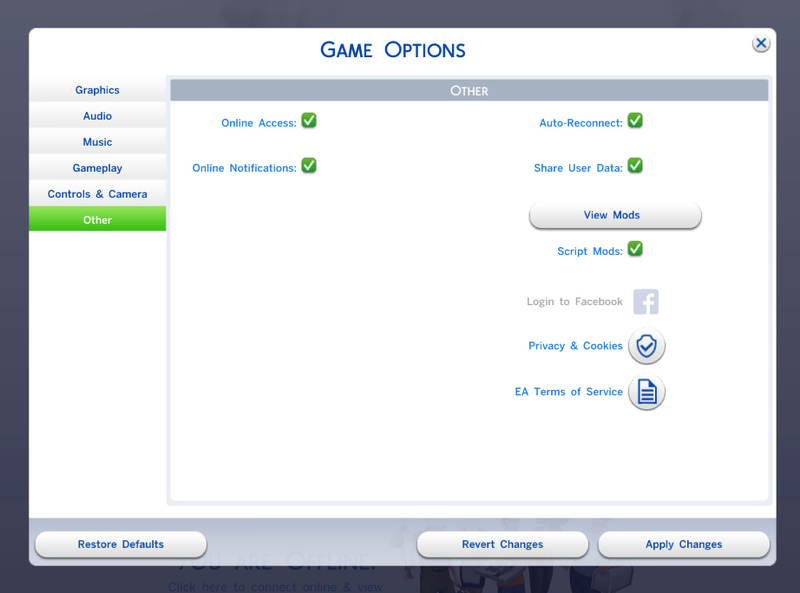 Please note that the last names and first names (male or female) are chosen from separate lists, so you could very well get sims with a Pre-City Living first name (e.g. James) and a City Living last name (e.g. Gupta), or vice versa. This isn't ideal, but it's the best I can do. Like above, all names will generate in your game's language. 3. "No City Living Names NON-ENGLISH" - This version is for non-English players only. No City Living names in the game, but with all other townie names in English (including pets & Selvadorada locals/skeletons) regardless of your game's language. Please note that for Czech and Russian, the game defaults to separate male and female last names, but with this mod, all English last names are unisex. Please only download one. They will conflict otherwise. I did not create any new names myself - all the names are from the default lists from Maxis. I will be keeping this updated as long as the Sims 4's lifecycle, so keep coming back after each major patch! Note: This will not affect existing townies, it only affects new townies generated with this mod installed. Note: Townie names for Selvadorada locals, pets or celebrities are unaffected, with the exception of the Non-English version (see above). Basically any other mod that modifies names generation will conflict with this. Simply download and unzip the file into your Documents/Electronic Arts/The Sims 4/Mods folder. LessCityLivingNames.zip | Description: City Living names are much less common, in addition to other townie names. NoCityLivingNamesNON-ENGLISH.zip | Description: NON-ENGLISH PLAYERS ONLY - No CL names, with all other townie names in English instead.